Massey University in New Zealand says it has received funding to investigate whether there will be any adverse effects of electromagnetic radiation to human health caused by 5G networks. The project “Analysing Harmful Electromagnetic Exposure due to Future Millimeter Wave Transmissions” is funded by the Lottery Health Research Fund and will be carried out over 2016-2017. “If the future wireless signals are found to be harmless to the human health, this project would build consumer confidence in the future telecommunication services. 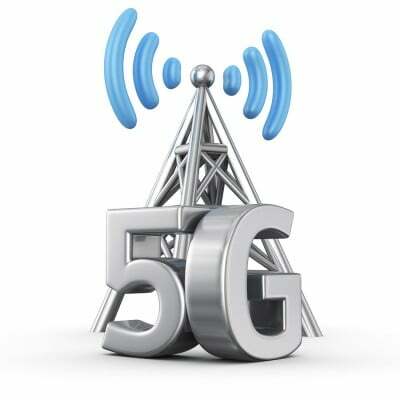 However, if this project shows that the 5G network leads to, or potentially may lead to adverse health impacts, the industry would be required to modify the underlying wireless technology to ensure the human wellbeing,” said Faraz Hasan, principal investigator. “With some industry giants predicting 50 billion connected devices by 2020 and with the employment of much higher transmission frequencies proposed for the 5G rollout, it is essential to determine how the future of telecommunications will affect the health of its users,” Hasan said in the announcement. In the U.S, Light Reading points out the FCC keeps tight limits on the antenna power limits allowed for different fixed and mobile applications; however, carriers are starting to ask the agency if they can increase the amount of Effective Isotropic Radiated Power (EIRP), or peak antenna gain, used for millimeter wave applications. Last year, researchers at NYU Wireless advocated for new safety metrics that are based on body temperature rather than the standard power density. Theirpaper, titled “The Human Body and Millimeter-Wave Wireless Communication Systems: Interactions and Implications,” was chosen as the best from several hundred entries at the 2015 IEEE Conference on Communications. Their study used four models representing different body parts (both clothed and unclothed) to evaluate the thermal effects of mmWave radiation on humans. Their simulation showed the steady state temperature increases — even of clothed parts with less blood flow such as the forehead of a person wearing a hat — are negligible compared with the environmental temperature variations when the exposure intensity is similar to that likely to be used in a next-generation cellphone. The Massey University researchers will collaborate with India’s Birla Institute of Technology and Auckland University of Technology.